Linking words (named also “connecting words”) are essential for those who want to improve their writing skills. 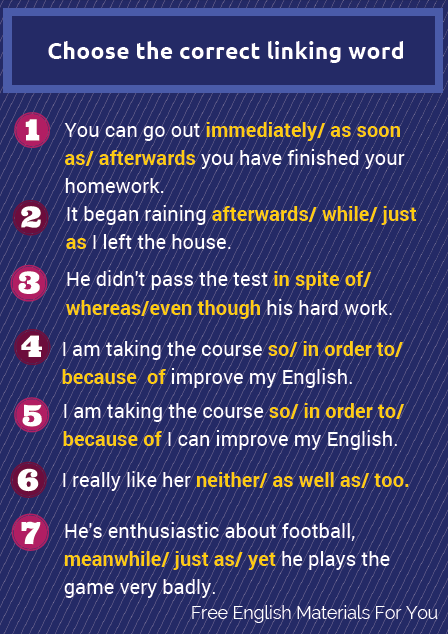 As you can deduce these English words are employed to link/connect parts of speech or whole sentences. Griffiths, M. (2010), IELTS Writing: A Comprehensive Guide, Smashwords Edition. 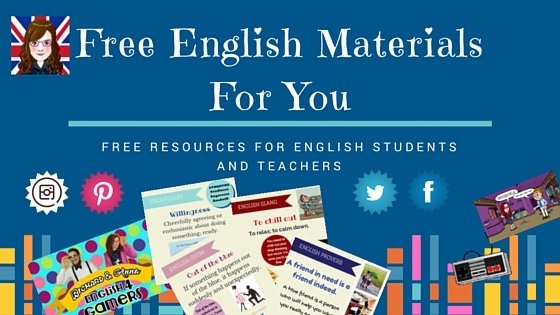 Tomorrow the answers will be available on Facebook: Free English Materials (Album Quizzes’ answers).